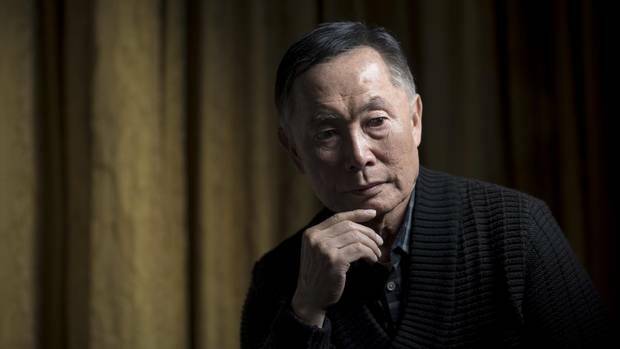 Actor George Takei is shown at the Fairmont Hotel in Vancouver on Nov. 18, 2014. A Virginia mayor's proposal to halt assistance to Syrian refugees earned him a scolding and a history lesson from Star Trek alumnus George Takei. David Bowers, mayor of Roanoke, Va., issued a statement Wednesday saying it would be "imprudent" to help relocate Syrian refugees to the Roanoke Valley after the Paris terrorist attacks, urging a halt to relocation efforts "until these serious hostilities and atrocities end." He cited the U.S. government's internment of Japanese "foreign nationals" during the Second World War as a reason to be "better safe than sorry" in helping the refugees. The remarks drew condemnation from human-rights groups and politicians, but it hit an especially personal note for Mr. Takei, a Japanese-American actor whose family was held in internment camps in the 1940s. A musical based on his childhood experiences, Allegiance, debuted in 2012 and is now playing on Broadway – and Takei told The Globe and Mail last week he was struck by the number of younger Japanese-Americans who knew about the internment, but didn't know specifically how the elder generation suffered. "The people that experienced this, the parents and grandparents, were so pained by it – so hurt by it, and so ashamed by it – that they didn't share it with their children," Takei says. In a Facebook message on Wednesday rebuking Mr. Bowers, Mr. Takei invited the Roanoke mayor to attend the show as his guest. 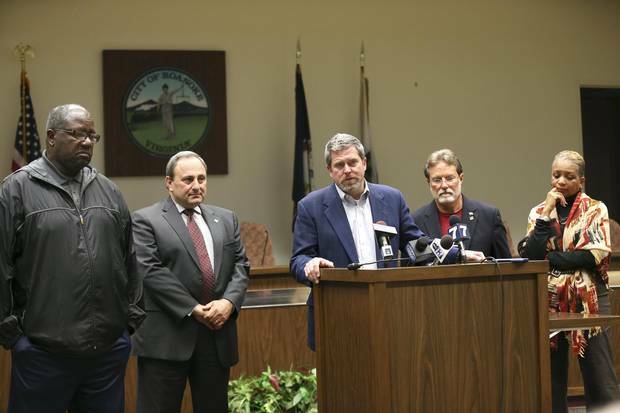 Roanoke Vice-Mayor David B. Trinkle, middle, is joined by fellow city councillors at a news conference where they denounced comments that Mayor David Bowers made about Syrian refugees. Several U.S. governors are threatening to halt efforts to allow Syrian refugees into their states, citing the Paris attacks. But immigration is a federal jurisdiction in the United States, and immigration experts say under the Refugee Act of 1980 governors cannot legally block refugees from settling in their communities. Mr. Takei and his family were interned in 1942, a few weeks after his 5th birthday, spending time at camps in Arkansas and northern California for four years. In a 2014 interview with The Globe, he described the indignities they endured in the camps and how lingering anti-Japanese prejudice after the war prevented his family from finding work. In the 2014 interview, he also said that anti-Japanese attitudes played a role in his decision to become an actor, and eventually the role of Hikaru Sulu on Star Trek. 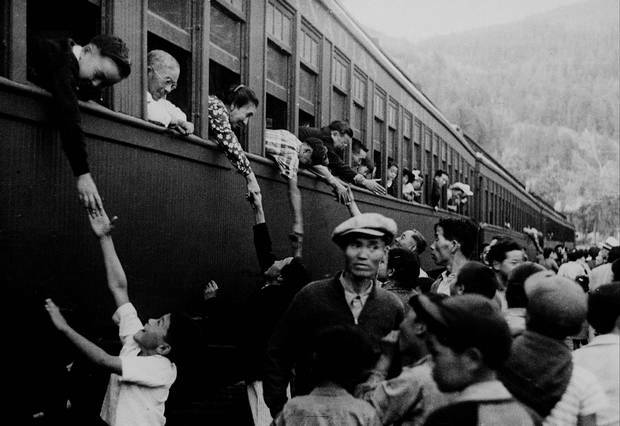 Japanese-Canadians are shown being relocated to camps in the interior of British Columbia in a photo taken between 1942 and 1946. In 1942, the Canadian government invoked the War Measures Act to round up Japanese-Canadians in internment camps. In all, some 21,000 people were taken from their homes and put into camps in Western Canada and Ontario. The federal government formally apologized in 1988 and offered $330-million in compensation. The B.C. government issued its own apology in 2012. Mr. Takei ended by inviting Mr. Bowers to attend a Broadway show of Allegiance as his personal guest. "Mayor Bowers, one of the reasons I am telling our story on Broadway eight times a week in Allegiance is because of people like you," he wrote. "… Perhaps you, too, will come away with more compassion and understanding."